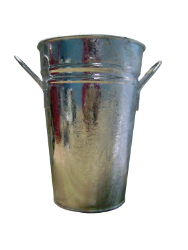 The galvanized French pot can be used as a vase, an ice bucket for champagne or wine bottles, or in crafts. Decorative and Functional. Each pot is sold by the unit or in case lots of 12.